EFFORTLESS BLOOMS with added perfume! 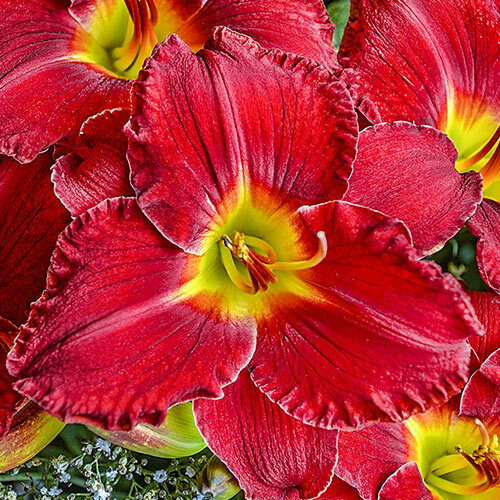 Disease resistant, drought tolerant and winter hardy in zones 3-9 , daylilies are among the easiest perennials you can grow! They can even thrive in poor soil and polluted environments. Butterflies and hummingbirds love these colourful, open-faced flowers, but rabbits will avoid them. Their bounty of trumpet-shaped blooms open in succession—each one like a stunning work of art that lasts a single day. 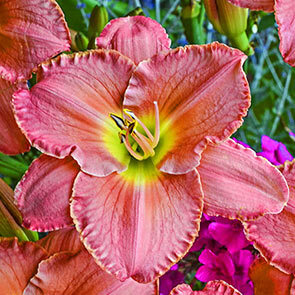 Plant daylilies in full sun to part shade and Mother Nature will do the rest. 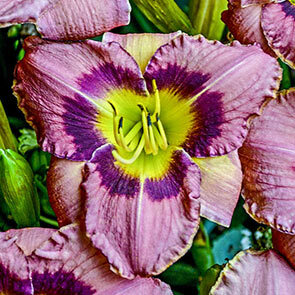 Ask a gardener to name fragrant flowers, and daylilies may not make the list. 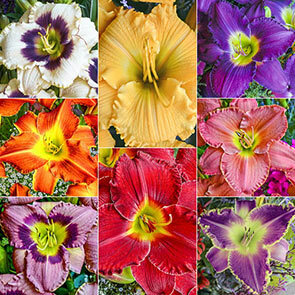 But did you know that some daylily blooms are more scented than others? 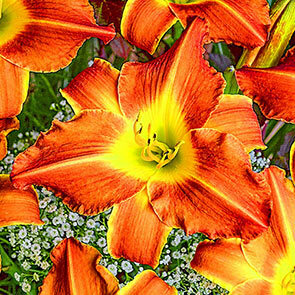 A daylily's fragrance depends on its cultivar, and it can also change based on weather conditions and even time of day. We sniffed out eight of the most aromatic varieties for our new Fragrant Daylily Collection—designed to delight your senses and save you money. Boasting infinite colour combinations and a trouble-free nature, daylilies (or Hemerocallis) offer a parade of fresh blooms daily for weeks each summer. And many, like the ones curated for our new collection, also produce a mild and pleasing scent. It's no wonder the humble Hemerocallis is one of America's most popular flowering perennials! Blueberry Candy: This compact dwarf variety is also known for its high bud count and rounded bloom shape. Blooms in midsummer and again in late summer to early fall. Grows 20–22" tall. Rebloomer! Bright Sunset: Vibrant orange with stunning gold accents. Large 6" flowers stay open longer than most (a full 16 hours) before making way for the next day's fresh replacements. Blooms in midsummer. Grows 36" tall. 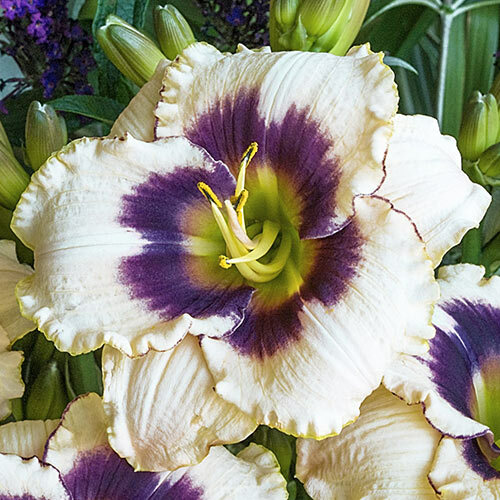 Always Afternoon: Vigorous performer features broad petals and pronounced ruffles that create a classic piecrust look. Blooms in midsummer and again in late summer to early fall. Grows 20–24" tall. Rebloomer! 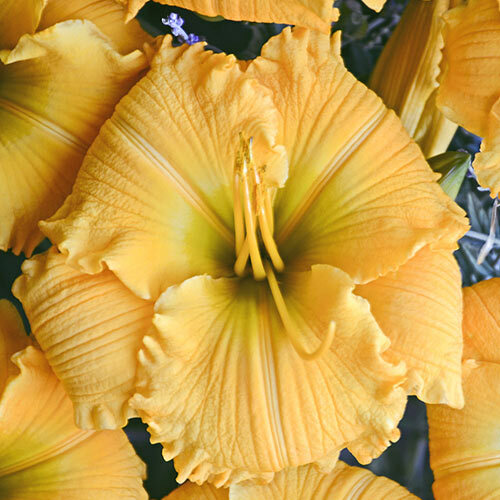 Elegant Explosion: Bright golden-orange blooms with recurved petals light up front borders—boasting 22 buds or more per scape! Blooms in midsummer and again in late summer to early fall. Grows 20" tall. Rebloomer! Prairie Wildfire: Thanks to four sets of chromosomes, this tetraploid variety produces substantive leaves, flowers and scapes. Red blooms with yellow throats arrive in midsummer. Grows 23" tall. 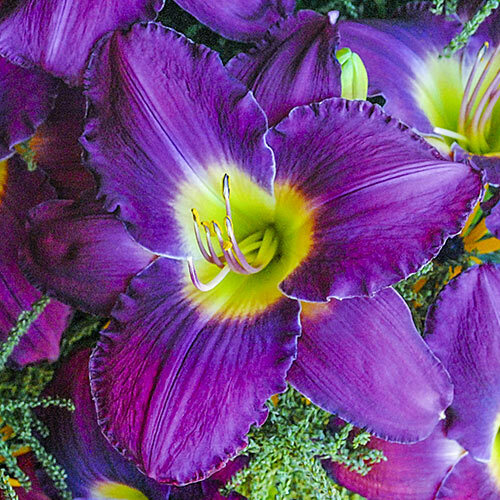 Maestro Puccini: These perfectly composed blooms hit just the right note. 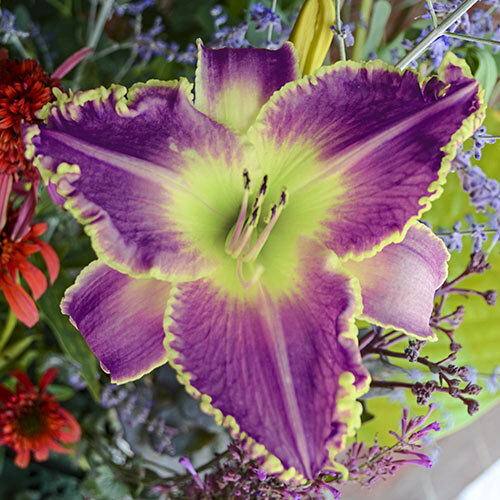 Ruffled, rose-purple flowers feature a darker violet halo and lemon-yellow throat. Blooms in midsummer. Grows 28" tall. Scottish Fantasy: These complex coral blooms could rest on their beauty alone—but they also boast well-branched scapes and a high bud count! Blooms in midsummer and again in late summer to early fall. Grows 28" tall. Rebloomer! Judy Judy: Lavender, 6" flowers feature a yellow picotee, ruffled edge and chartreuse throat! Blooms in midsummer. Grows 28" tall. Flower Form Single flowers, varieties sizes of to 6"
Planting Instructions Soak the roots for about half an hour. Loosen soil well before planting. Top of plant should be just below the soil. Space 24". Water well after planting.